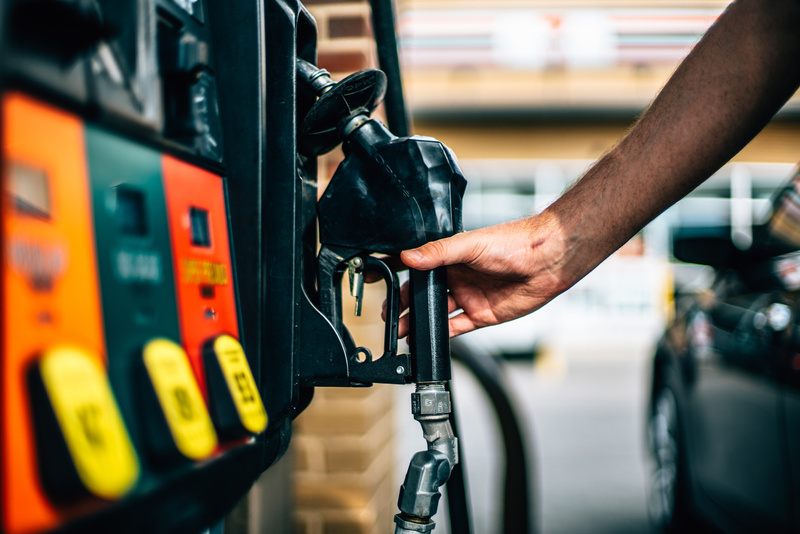 No matter where your gas station is located, there are many ways to attract more customers to your gas station and get them spending more at the pump and in your convenience store. Here are some of our favorite methods for increasing gas station sales. There are likely several gas stations your store is directly in competition with, and researching these rivals is an important step in increasing your sales. The more objective you can be when comparing your gas station to the competition, the more you can learn and the more you can improve your station’s competitive edge. Answering these questions will help you identify where the competition is beating your gas station and what changes you’ll have to make in order to match or exceed the value they provide to customers. What does their location suggest about the customers they serve and the needs of these customers? How do their gas prices compare to yours? Can you provide special offers to offset any fuel price advantage they have (Like a free coffee for 10+ gallons)? How do your extras for cars compare to theirs (car wash, air/water, vacuum, pump attendants, etc.)? What items/displays do they have on their register countertop? What product-specific or product-category-specific POP and POS displays do they have in their convenience store? Do they have any specialty aisles or aisle sections that dedicate a large amount of space to an item category (seasonal product section, tools, household items, toys, etc.)? What items seem to be best sellers (these items may be partially or fully out of stock)? What are their customers buying when you visit their shop? Do they have any promotional signage visible from their pumps or visible from the road? What offers are they promoting with banners and signage? Who are their promotions targeting (Parents with children, commuters, truckers, etc.)? Do they personalize or decorate their station or store? What impression do their decorations give you (family friendly, focus on commuters, focus on truckers, etc.)? Answering the questions above will help you create a profile of your competitors and their strategy for driving more sales. Using this profile, you can then develop your own strategy for competing with these gas stations for specific customer demographics and top-selling items at your store. By answering the following questions, you can better define the strategy you will use to outperform your top competitors. Are you directly competing for a specific customer demographic? What offers can you advertise outside your gas station to get more customers in this demographic to choose your gas station over the competitor? Are you directly competing on top-selling items? What percentage of your margin will you be giving up to beat your competitors on price? Do you have an advantage for serving a specific customer demographic, such as pumps that are better equipped for big rig trucks? What can your station offer to customers that the competitor cannot? What can they offer that you cannot? Can you offer special deals on staple items that aren’t offered by your competitors? Can you offer higher-quality speciality items or specialty items at a lower cost? A gas station along an interstate highway will have different customers than a gas station in a suburban area, and the design of your gas station and store should appeal to your most frequent customers. Some items like USB chargers and hot coffee will be best sellers no matter where you are, but devoting more shelf and countertop space to items that your most frequent customers want or need is a great way to increase gas station sales. For example, if your gas station’s customers are primarily long distance truckers, then offering more personal grooming items will better meet the needs of your customers and drive more sales. Alternatively, if your gas station is near several schools, devoting more shelf space to high margin toys can be a great way to drive sales. To ensure that you are prioritizing items your target customers are actually buying, you should always consult sales reports to determine which items are best sellers. You can also use this sales volume information to track how effective changes to your store are. For example, when you swap one countertop display for another, you can track how this affects sales of both the new and the replaced item, and see if the sales increase of the new item is worth the decreased sales for the item being replaced. Another good way to offer more items that your customers are looking for is to track what your customers are asking for. Any time someone asks “Do you have X or Y” a note should be made, regardless of whether you carry the item. What products have been requested that you don’t have (look into carrying these products). What products are being requested that you do have (these items should be in a more visible place). What categories of products your main customers asking for (these product categories are needed/wanted by your target customers). Creating a better customer experience in your convenience store can increase the spending of each customer who enters your store and encourage customer loyalty. This will result in more passers-by converting into repeat customers. Hire gas station attendants who are friendly and focused on good customer service (they are the face of your gas station and the biggest factor in the experience of customers). Invest in attractive landscaping for your gas station to improve the first impressions of customers. Keep your gas pumps and station exterior clean and free from litter. Ensure your gas station is well-lit at every corner. Prevent loitering and disruptions at your gas station. Ensure that your C-Store interior and bathrooms are always clean and inviting. Organize the items in your store so customers can easily find what they’re looking for. Use fun POP displays to bring customer attention to current promotions. Monitor inventory levels in real time to keep your shelves stocked at all times. Increasing the visibility of your air and water machines can get your customers to spend more time at your station and get more value from their visit, increasing their chances of making additional purchases and improving their overall experience at your gas station. Providing free air and water for filling up 5+ gallons or purchasing items in your store incentivises them to spend more at your gas station. Offering air and water for free, which are essential to the safe operation of vehicles, will improve visitor impressions of your gas station, earning repeat business from customers who pass your station regularly. Offering discounts and specials that appeal to your customers can have visitors to your gas station making larger purchases more frequently. Discounts and specials are also some of the most effective tools for taking customers from your competitors. Offer seasonal discounts on seasonally appropriate items (5% discount on chocolate for halloween). Offer discounts to beat your competitors on their best sellers. Offer discounts on popular high-margin items. Offer discounts on closely related items (headphones + phone charger). Offer bonus items for dollar-amount-spent (free hot dog for $10 in the Cstore). Other than the gas prices you advertise, your customers are comparing your station to others based on the deals you are displaying on your gas station exterior. To get more passers by off of the road and into your gas station, you should be using the exterior of your station and store to catch the eyes of more customers. Fill-Up Signage: Special offers for filling up fully or past a set number of gallons (free soda or coffee for 10 gallons or more). Gas Station Extras Signage: Gas station extras for cars and offers for these extras (free car wash with fill-up, free air/water for 8+ gallons). Staple Item Signage: Discounts on staple items (2 chips for $2, 1 soda + 1 hot dog for $2). Specialty Item Signage: Discounts on staple or specialty items that are in high demand for your target customers (toiletry kits for long distance drivers). Seasonal Signage: Seasonal offers (pumpkin spice coffee for fall, 2 for 1 slushies for summer). All of these strategies will help increase gas station sales and CStorePro will help you track exactly how your sales are increasing. By giving you detailed daily and instantaneous inventory and price book reporting, you can experiment with sales driving strategies and watch the results in real time. To learn more about how CStorePro helps gas stations drive more effective sales, you can schedule a demo or check our solution out for yourself with a free 30 day trial.